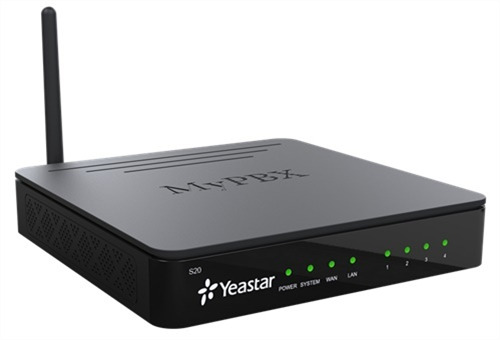 Yeastar S-Series VoIP PBX with 4G (LTE) installed. Save time with streamlined installation and maintenance tasks using our advanced auto-configuration, auto-detect and plug and play capabilities. Designed with the small and medium sized enterprises in mind, this PBX supports up to 20 users, 10 concurrent calls and is built using the very latest technology. The Yeastar S-Series delivers exceptional cost savings, productivity and efficiency improvements, delivering power, performance, quality and peace of mind. The installed 4G LTE Module provides full voice capabilities, high speed data transmission for S-Series VoIP PBX, supporting 3G/4G network standard, Voice over LTE, and powerful SMS features.